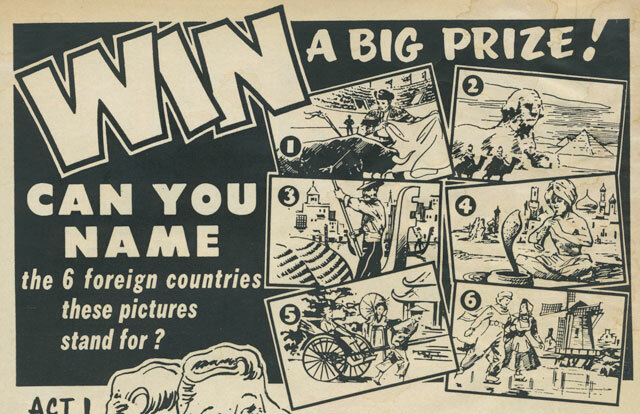 Grotesque Children Stereotypify Foreign Countries and WIN PRIZES!!! Here’s the grotesque children! They look like those creepy, dried apple sculptures and all seem to be breaking out in freckles or some horrid skin disease across the bridge of their noses. …and here is their challenge! You’ll also get a BIG FREE CATALOG of wonderful PREMIUMS that you can get at no cost for unloading packages ofÂ White CLOVERINE BRAND SALVE on your friends, neighbors and relatives at 50Â¢ a pop. Sounds like easy American money on top of the foreign coins for taxing one’s geographical knowledge, but there are a few problems. They don’t explain what Cloverine Brand Salve is; why people want it or why anybody would buy it from ugly children who display a passing knowledge of other countries rather than purchase it from a local druggist. 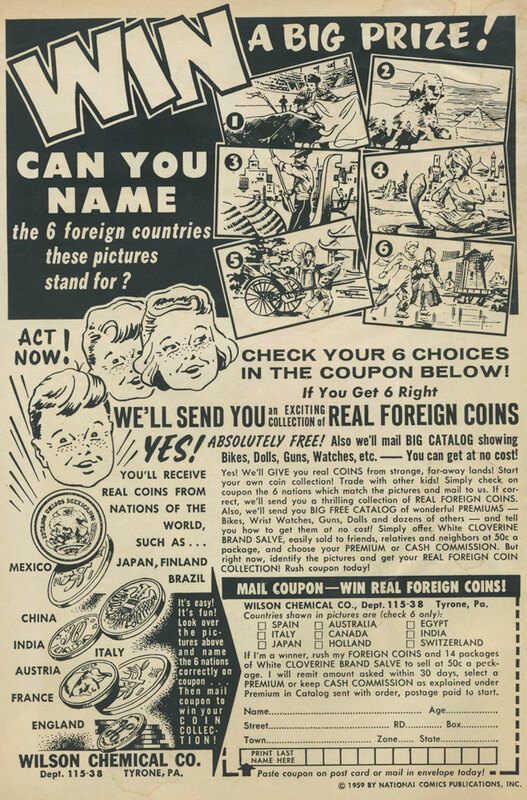 This ad appeared in BlackHawk No 144 which was published in 1960 by DC Comics. 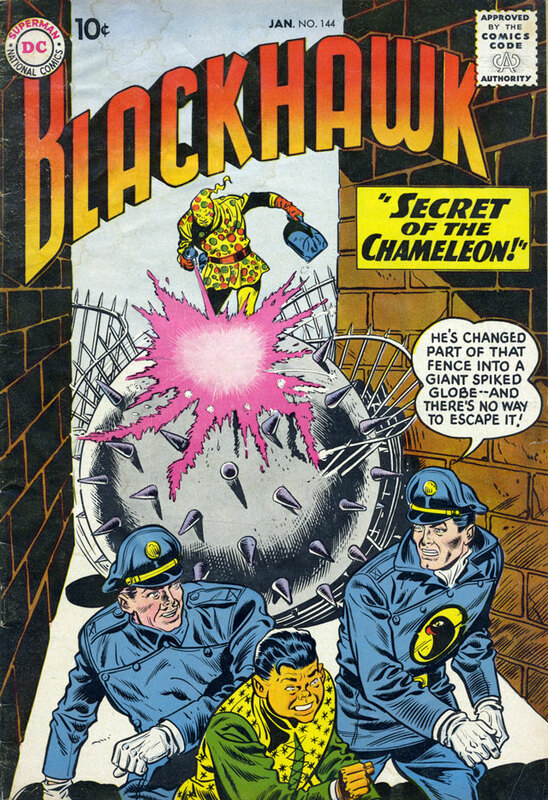 This entry was posted in What I Miss About Comics and tagged 1960, ad, advertising, Blackhawk, cash, CLOVERINE BRAND SALVE, comic book, comics, DC Comics, geography, prizes, scam, ugly kids, vintage. Bookmark the permalink. 2 Responses to Grotesque Children Stereotypify Foreign Countries and WIN PRIZES!!! 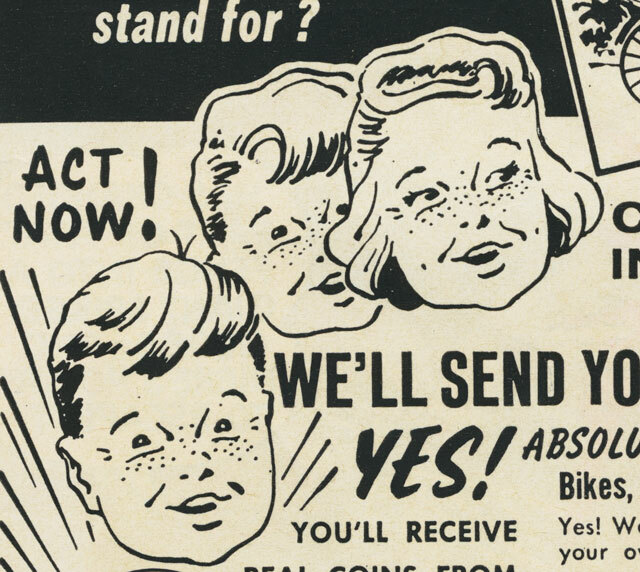 I remember selling American Seeds from a similar comic book ad. I earned my first Estes model rocket and launch pad with the value points I accrued! I always wondered if anybody ever made out in that racket. I would have starved to death and would have to resort to eating the seeds or, in the case with the ad above, the salve. I wonder if it tastes like school paste.